Candice Labbe has been licensed and practicing law in the Commonwealth of Massachusetts since 2013. 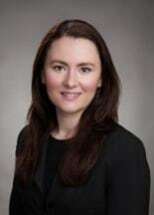 She is a graduate of Suffolk University Law School in 2012 and earned her Bachelor's Degree with a triple major in Political Science, International Affairs, and Russian in 2007 from the University of New Hampshire. Candice's practice focus is in the areas of domestic relations, including divorce, custody and support disputes, paternity, modification, and contempt. Her practice encompasses all stages of Probate and Family Court proceedings, from the filing of the complaint, through the motion and discovery phase, and representation at trial. She has extensive experience representing clients in the Probate and Family Court, Juvenile Court, and District Court. Candice's goal for her clients is to negotiate an advantageous settlement without the need for litigation. However, if a mutual resolution cannot be reached, then Candice will advance her client's interests at trial to the fullest extent. Prior to her licensure, Candice was a Judicial Intern with the Honorable Bonnie H. MacLeod-Mancuso, Retired, at the Suffolk County Superior Court, and a legal intern at De Sola, Pate & Brown in Caracas, Venezuela. She graduated from the United States Marine Corps Officer Candidate School Platoon Leaders Class 1 in Quantico, Virginia in 2005. She has lived and studied in both Russia and Sweden. Candice is an avid traveler and hiker and enjoys many other extreme and outdoor sports. She has been involved with several community organizations, including the Volunteer Lawyer's Project of the Boston Bar Association and the New England Center for Homeless Veterans.